Often, people learn to freedive by chance – maybe because they have the opportunity to do it following a scuba course or because the activity is recommended to them by a friend. 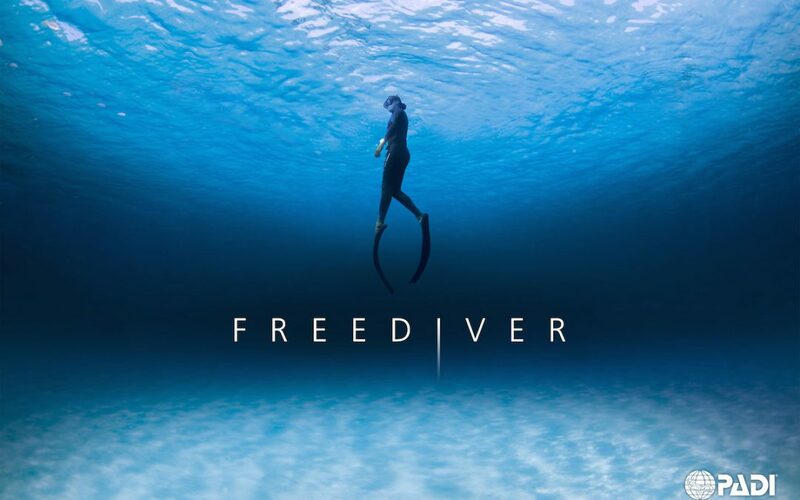 Therefore, I will describe my freediving journey to help explain the true beauty of this incredibly sport which I hope will continue to grow in popularity as it has done over the past few years. I believe that most people still do not know exactly what it is, so I’ll explain. Essentially, divers must hold their breath underwater until resurfacing rather than relying on scuba equipment to give them air. It therefore requires great physical discipline and dedication. One must be fully tuned into what they are doing in order to have a safe and enjoyable underwater session. Like many others, I discovered freediving almost by accident. I lived in Liguria very close to the sea and spent my summer seasons either at the beach or watching performances by talented freedivers Enzo Majorca and Jacques Maiol on television. When I was just nine or ten years old, I loved to put on a mask and watch the fish swimming around the rocks – but what I liked best was the sense of freedom I felt in the ocean. The cool water on my skin; the silence all around me – it was incredible and this is where my passion for diving started. At the age of 19, I had the opportunity to do a scuba course and although diving with cylinders didn’t interest me too much, it was the only serious way to learn. I did a CMAS course which is practically a military course applied to scuba diving. I learnt key techniques in swimming pools but back then not much was known about the “true” magic of freediving. With time I became a passionate scuba diver and that passion quickly became a profession – but my love of freediving was always there, hidden in my head and heart. Whenever I had the chance I’d put on my fins and mask and submerge myself underwater without any cylinders. And then it happened. After postponing year after year (for many different reasons – work, family life and such like) I decided that I wanted to teach freediving and share this different and wonderful way of enjoying the sea. Freediving does not mean being an underwater fisherman because this is only a “specialisation”. While spear fishing attracts many freedivers, the sport is much more complex. Free diving is all about self-control and finding inner peace. Relaxation techniques and breathing techniques not only make freediving possible but also help us not achieve that inner balance and calm that we often seek – but fail to find. Put simply, freediving is not just about going under water and holding your breath. Freediving is a very active move towards self-awareness and discovery. It involves pushing physical limits and overcoming mental barriers in order to achieve a personal goal. I assure you that holding your breath for longer than you thought you could is a life-changing experience. Once you break down those self-limiting walls you become a force to be reckoned with; a stronger individual determined to get the best out of life in every way. Believe it or not, there are elderly people in good health who are using apnea – a temporary cessation of breathing – to develop mental strength. Not so long ago it was thought you needed a strong body for freediving. Today we know that it is mostly about overcoming mental obstacles – particularly if you’re not used to the feeling of diving without air. Freediving is a wonderfully rewarding and often emotional experience which is enjoyed and shared by those who instruct you. Your instructor will watch over you, rejoice with you when things have gone well, comfort you if something goes wrong and vise-versa and therefore a strong bond is created. Freediving is also a sport that can lead you to discover incredibly beauty both on the boat and under the sea. From stunning sunsets to impressive cliff peaks and (if you’re lucky), a herd of dolphins – you won’t forget your freediving experiences. You can also share your stories with old classmates or over dinner and tell others about your passion for such a wonderful diving adventure. The guidance of a good instructor is certainly recommended. An experienced freediving instructor can share valuable information and help you get down to a depth where you’ll feel a real sense of accomplishment. Many self-taught people take years to get down to twenty metres, while some students who have never done apnea before go deeper after a short period of time. Having an instructor is also important for safety reasons because if you do things the right way, then freediving is not a dangerous sport at all. An instructor knows the risk and will tell you what to do and what not to do so that an accident is avoided. Unfortunately, if we do not have an experienced person close to us there’s an increased risk – and it can be high. A qualified instructor will take you on that journey of self-discovery needed to become and freediver and help you to achieve the desired results. In addition, an instructor will be able to update you on the latest free diving news and offer the relevant support. Let us remember that a good instructor is not one who knows everything but one who can share his experiences, listen to his students and contact other experts in the field for advice, if needed. Nowadays, it’s no longer a good idea to practice freediving with those that are self-taught due to the risks involved. I myself have learnt more in a couple of serious courses for freedivers than in ten years of teaching myself. Marco Visino, Scuba Diving and Freediving Instructor. Read more about our PADI freediving courses.